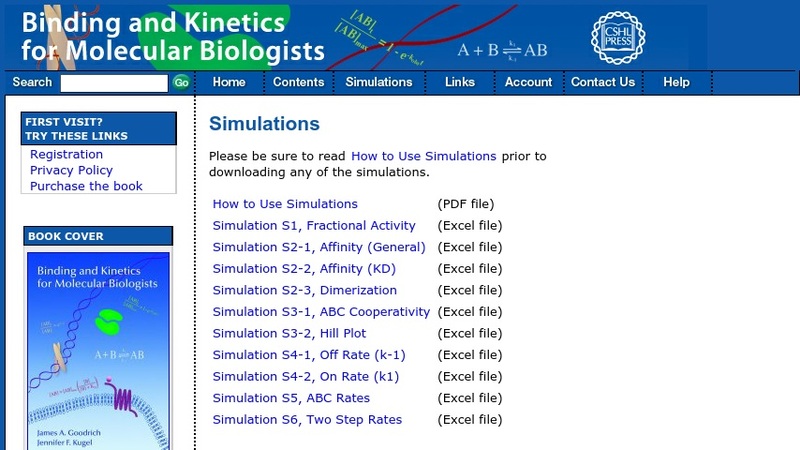 A collection of Web-based simulations on the website for the textbook "Binding and Kinetics for Molecular Biologists". They can be manipulated to visualize important concepts presented in the chapters. They afford a better understanding of binding and rate curves and fitting data.